The holidays are officially upon us! I'ts currently snowing and I've added dairy free eggnog into my coffee-life is good. I am the MOST basic when it comes to Christmas, and you know what- it's fantastic. 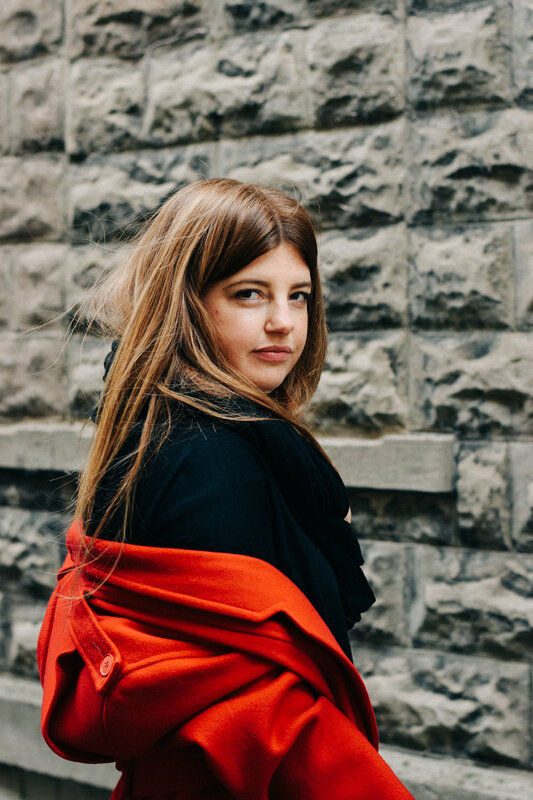 This time of year always has me inspired to add a little sparkle and shine into my wardrobe, and this year I chose this gorgeous red coat to sport around while gift shopping. I mean, its perfect isn't it?! A vibrant red that I can't get enough of, and the length is perfect, as I usually wear shorter coats this change has got me hooked. But above all other attributes and benefits ascribed to the most amazing red coat, it happens to belong to my favourite person on planet earth. My mum! She bought this coat when I couldn't yet walk, and I have memories of her wearing it around the holidays with a white silk scarf. Her arm linked to my dads. 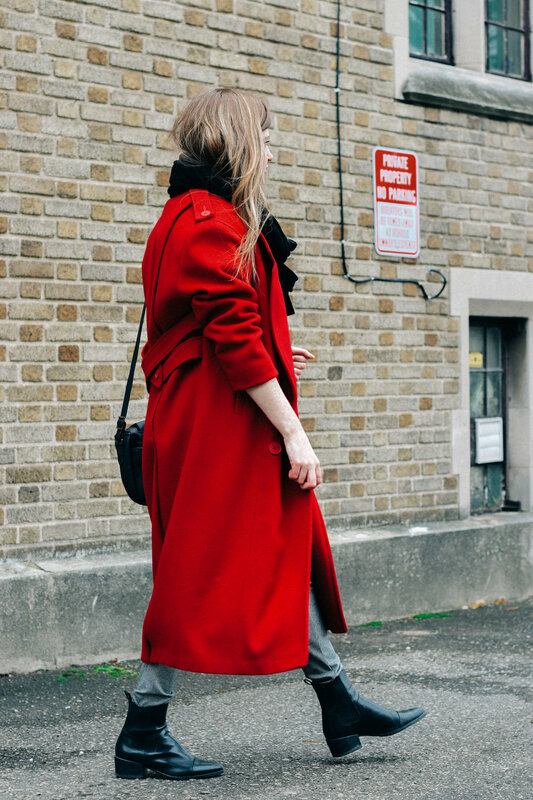 It has sat in the back of our coat closet until recently, and wearing it is like wearing happiness- a brief moment into the past when the most beautiful person you could think of wore the most beautiful red coat during the most beautiful time of the year. All Photography By: Christina of Style Apotheca, check out her blog she is one of my biggest inspirations.